Our holiday homes by the Dobbertiner See are an excellent starting point for excursions into the surrounding area. From here, you can easily reach the state capital Schwerin and the sights there, or go on long walks through the Mecklenburg lake district. Explore the nearby Dobbertin Abbey right by the lake, which has stood witness here for several centuries. Each holiday home has its own jetty and a boat, which you can use for free. In good weather, the 5.4 kilometre long lake offers inviting opportunities for long voyages of discovery on the waterway. We have put together a few tips on sights not to be missed on your holiday. The listed monastery Dobbertin and the associated monastery is located on a peninsula on the north bank of the Dobbertiner See and is connected by the monastery park with the village Dobbertin. 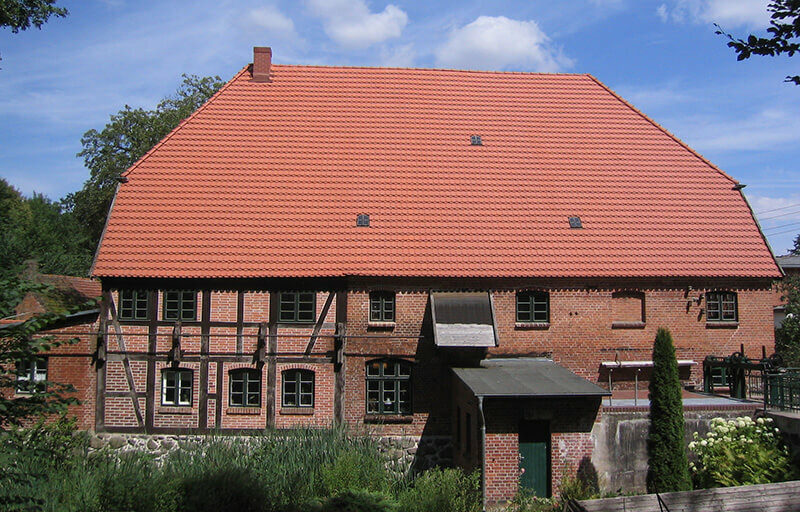 The monastery is one of the best preserved monasteries of Mecklenburg-Vorpommern. 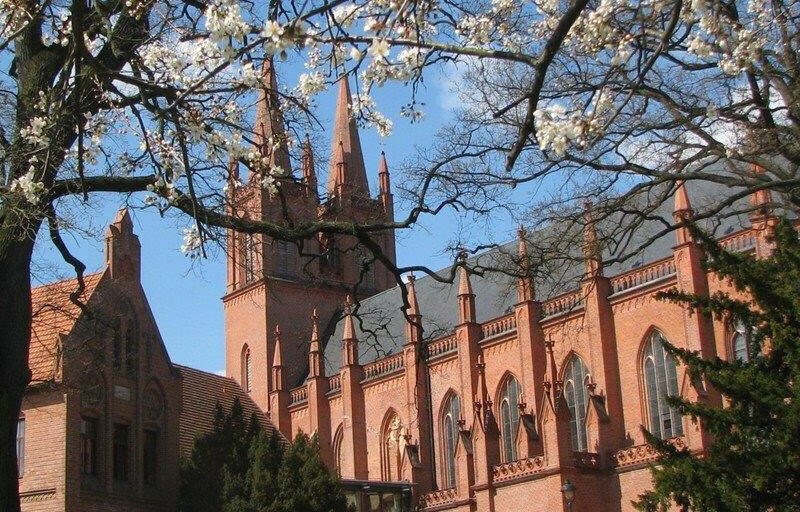 The double-towered monastery church is testimony to the work of architect Schinkel. The Monastery courtyard is a very beautiful backdrop and a playground for the Mecklenburg-Vorpommern Festival. Public guided tours take place every Saturday from May to September. 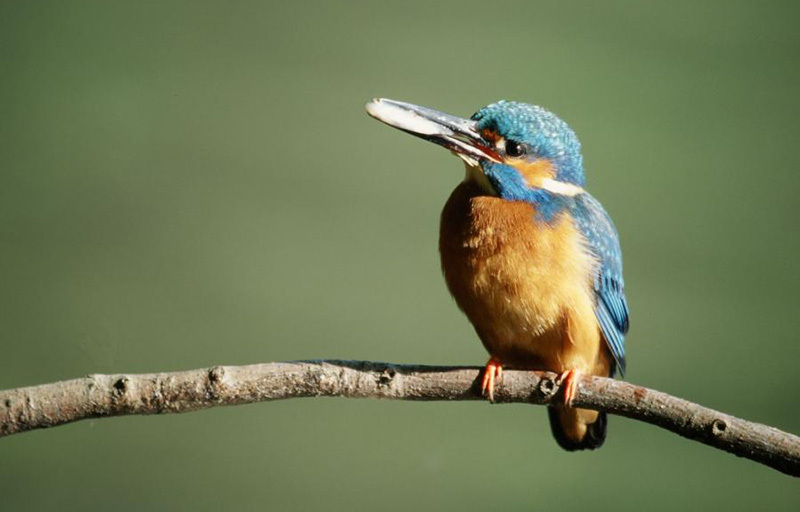 Discover the bird world on the Dobbertiner See with a nature park ranger and then walk through the monastery grounds and the park of Dobbertin. The state capital Schwerin can be reached by car in just a few minutes’ drive. 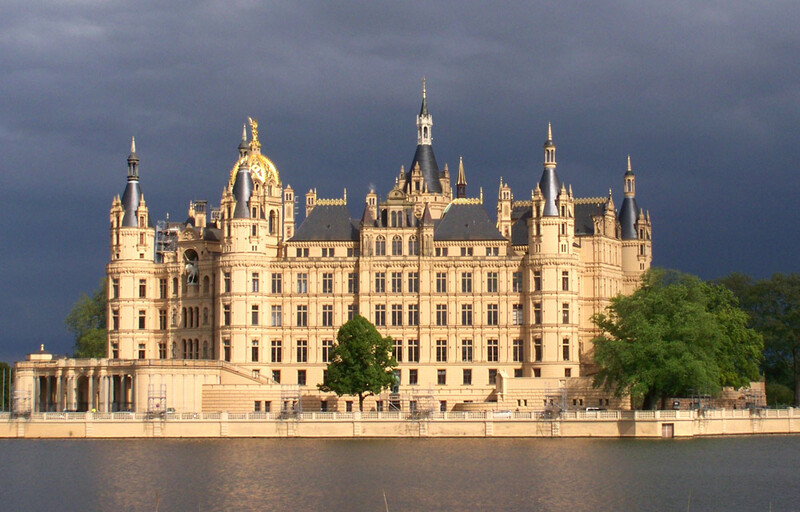 The most important feature of the region is Schwerin Castle, which also serves as the seat of the government. The unique architecture is already visible. Today’s castle view was in the middle of the 19th century in the style of the Neo-Renaissance. The museum is located in the interior of the castle with the precious porcelain relics, as well as the New Year’s Eve gallery and the flower room. Outside, the Burggarten and the Orangerie take you to another time. In the nature reserve “Nebel” and on the way to the Nebeldurchbruchtal you will reach the water mill of Kuchelmiss from the year 1791. 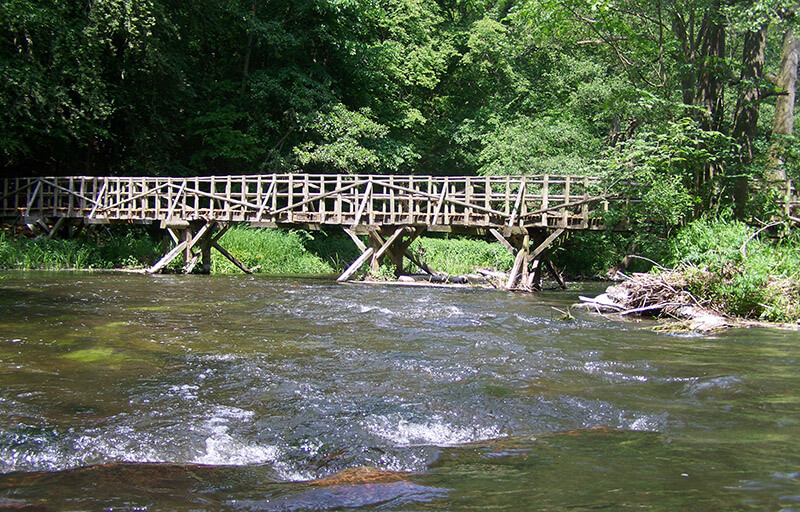 The watermill is protected by nature and you can visit the mill museum there. The watermill festival, which takes place annually in the summer, has become a good tradition. The Warnow-Durchbruchstal can be walked on foot as a circular tour of 4 kilometers in length, or canoeing directly on the Warnow to observe nature, the wild landscape, beavers and kingfishers. On natural and narrow paths, this tour leads through the largest breakthrough valley in the north. The Warnow has dug here a bed up to 30 meters deep. 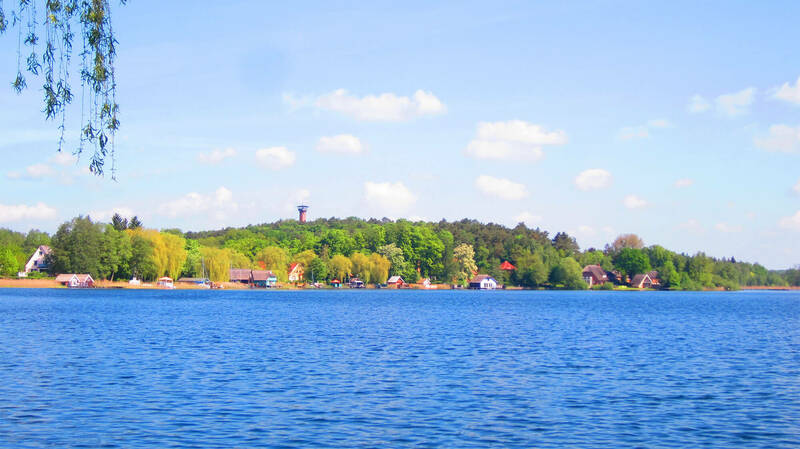 The health resort Krakow am See invites you to a day trip. 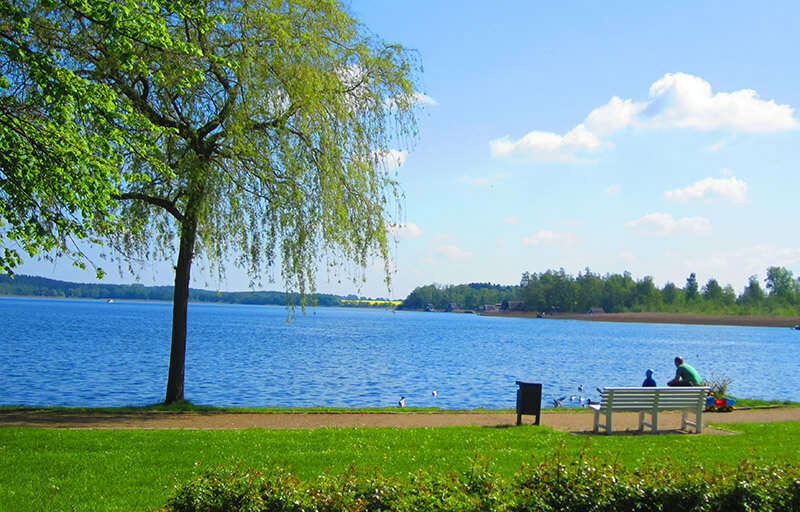 Stroll along the lakeside promenade and stroll down to Jörnberg. From a distance you can see the tower on the Jörnberg. Climb the 126 steps of the tower and you will be rewarded with a fantastic view of the Krakow Lake District. Our cottages for 2 people invite you to a natural idyll on Dobbertiner See. Our guests live in comfortably furnished holiday homes. The waterfront units each have their own boat.